To advance the science of aerodynamics, the Royal Aeronautical Establishment (RAE) commissioned an 'infinitely adjustable' aeroplane from Armstrong Whitworth, that by addition and adjustment of various parts would 'provide all the answers' to problems of aircraft design. Named the Ape, the plane could be altered by varying the length and rake of various struts on, the wing position, stagger, gap and dihedral, and the fuselage length could be increased by inserting extra bays. The tailplane incidence could be altered in the air by the pilot by pulling levers in the cockpit, and the fin tilted along with the tailplane. Four different sizes and shapes of rudder and tailplane could be fitted. On the second aircraft an arrangement of struts was attached to the landing gear to prevent the propeller striking the ground if the Ape tipped forward. The first Ape had a 180hp engine and performance was poor, limiting its utility. The second Ape was later fitted with a more powerful Jupiter engine, but increases in the weight largely nullified the effect of the greater power. It lasted for nine months of trials before crash-landing near Farnborough in May 1929. 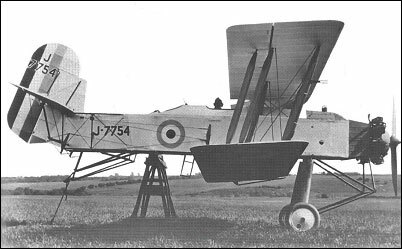 A third aircraft was completed but saw little use, the RAE having become somewhat disenchanted with the whole idea.